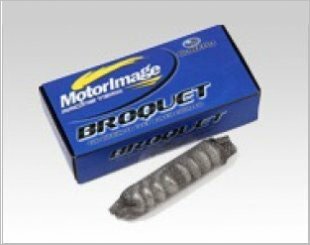 Broquet is a catalyst that when introduced into the fuel tank or fuel line of a diesel, petrol or oil fuelled engine, reacts with the fuel to improve the efficiency of the combustion process. It will treat the fuel for 250,000 miles or 400,000km. 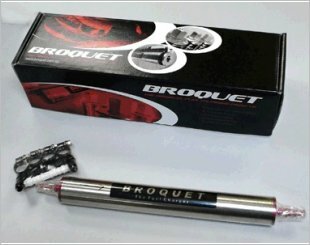 Broquet works not only by promoting more efficient combustion but also removing, and then inhibiting the build-up of carbon deposits, waxes and gums that normally form in the combustion chamber. The overall result is significant reductions in exhaust emissions and fuel consumption, more power and less maintenance due to cleaner combustion components. 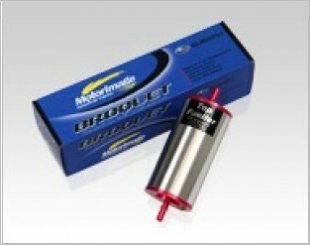 Can be used for cars with small fuel tanks up to 25 litres and pairs to work in cars with 50 litre fuel tanks. Provides smooth, fuel efficient power with emphasis on mileage, smoothness, low and high-end torque. 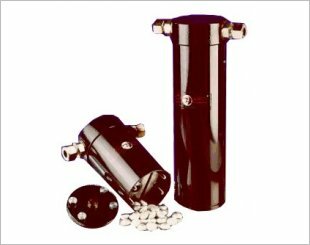 B/8T In-tank Unit is an 8 pellet in-tank unit which is able to treat up to a 40 litres tank. 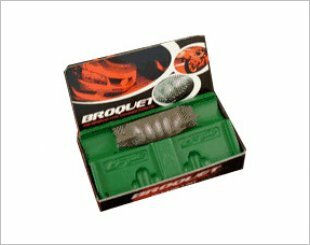 The Broquet Boostmaster 40 is a silent but powerful fuel catalyst that improves power and mileage for 1600cc cars. 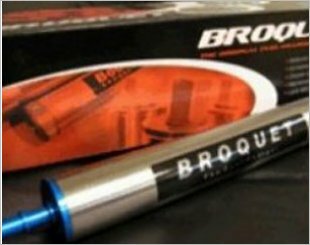 The Broquet Boostmaster 50 is a silent but powerful fuel catalyst that improves power and mileage for cars that are more powerful than 1600cc. 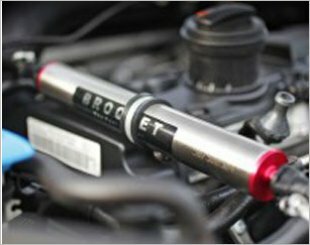 Removes and prevents carbon build-up, keeps injectors clean, reduces smoke emissions and provides a fuel economy improvement. Reduced fuel consumption but gives more power. 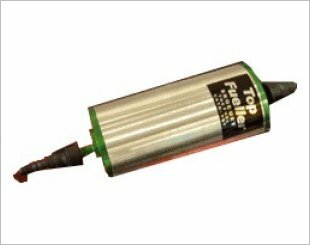 The Broquet Top Fueller 70 is a great way to reduce your fuel consumption without cutting back on speed. 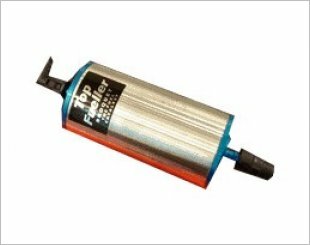 Provides maximum power, suitable for racers.